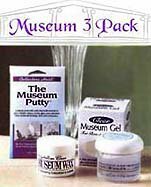 Protect your books and other objects from destruction. 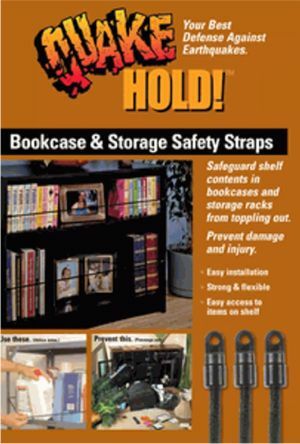 The Bookcase & Storage Safety Strap package will safeguard your shelf contents from toppling out. 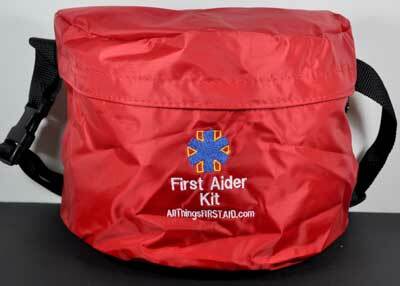 Prevent damage and injury with this, easy-to-install, strong and flexible set. Still have easy access to all items on the shelf, while protecting your books. All hardware included to secure 3 shelves up to 4 feet long. Special locking cap connectors on adjustable length shock cords are subtle, yet strong. Video, CD and DVD Binders. Great also on boats and RVs!